Over the past year, expedition cruise operator, One Ocean Expeditions (OOE), has expanded its fleet, housing three vessels exclusively under its banner, to become one of the world's leading small-ship cruise operators. 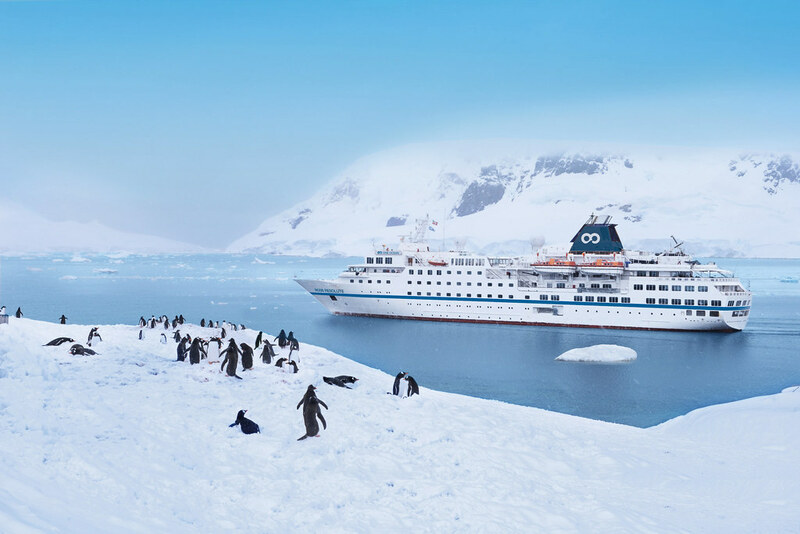 Following the launch of their brand-new programme in Central America and the Islands of the North Atlantic, OOE has now announced the release of their spectacular summer 2019 Canada's East Coast, Canadian Arctic & Greenland and Spitsbergen voyages. Summer 2019 will see OOE's new vessel, RCGS Resolute, embark on its inaugural northern voyages, taking guests to Canada's East Coast and the Canadian Arctic & Greenland in style. The superior level of comfort and capability offered by RCGS Resolute means that guests will not only experience the highest standard of on board programming and expedition style cruising that OOE is best known for, but they can do so whilst enjoying exceedingly comfortable cabins on a vessel purpose built for passenger travel. Beginning in July 2019 in Louisbourg, Nova Scotia, RCGS Resolute will carry guests through Canada's magnificent East Coast on OOE's popular Fins & Fiddles voyages, to explore the colourful fishing ports, lively music, rich history and incredible wildlife of this spectacular region. Whilst on board, guests will have the opportunity to zodiac cruise, sea kayak, SUP, hike and cycle, whilst experiencing OOE's 1:4 staff-to-guest ratio and unparalleled personalised attention. RCGS Resolute will continue north during August and September 2019 to offer some of OOE's most iconic itineraries including Labrador and Torngat Mountains National Park, followed by Canadian Arctic voyages to Baffin Island, Greenland and through the Northwest Passage to Cambridge Bay. With stability and style, RCGS Resolute offers guests the chance to experience the magic of these regions, along with unsurpassed access to its rugged coastline throughout these 10 and 12-night voyages. Brand new for 2019, OOE is proud to announce the South Baffin Explorer – Art, Wildlife and Culture voyage. Sailing from Iqaluit on the 30 July 2019, this 10-night expedition not only offers the chance to explore the spectacular land and seascapes of the Canadian Arctic and encounter the outstanding bird and marine life of the region, it also takes the time to visit many of the indigenous art galleries which showcase the talents of these remote peoples, whose rich output is a major focus of this highly unique and engaging voyage. Akademik Ioffe will join RCGS Resolute in Canada for early season voyages through the East Coast on the much-loved Fins & Fiddles and Labrador & Torngat Explorer voyages. Following this, the Akademik Ioffe will head north to the Canadian Arctic where passengers experience the vastness of this remote region on some of OOE's most popular voyages: Baffin Island – Jewel of the Arctic and High Arctic Explorer. Moving into August, adventures of early explorers are brought to life on board historically significant expeditions such as Pathways to Franklin and the Classic Northwest Passage. Akademik Sergey Vavilov will spend the summer of 2019 operating in Spitsbergen, where four voyages will travel the west and northern coastlines of this wild archipelago. Through June and July, the ever-popular 9-night Spitsbergen Encounter voyages, one of which includes a Photography Symposium, will provide passengers with bird and wildlife encounters, as well as fascinating lessons in glaciology. Guests eager to experience even more of the breath-taking wilderness of Spitsbergen's mysterious islands can enjoy a choice of two in-depth 11-night expeditions which voyage deep inside the Arctic Circle. Prices on the three vessels in these destinations range from US$3,395.00 – US$12,695.00 for a triple and US$4,595.00 – US$15,695.00 for a twin private.